San Mateo is a city on the San Francisco Peninsula in Northern California's Bay Area, approximately 20 miles (32km) south of San Francisco, and 31 miles (50km) northwest of San Jose. San Mateo had an estimated 2017 population of 104,748. Documented by Spanish colonists as part of the Rancho de las Pulgas (literally "Ranch of the Fleas") and the Rancho San Mateo, the earliest history is held in the archives of Mission Dolores. 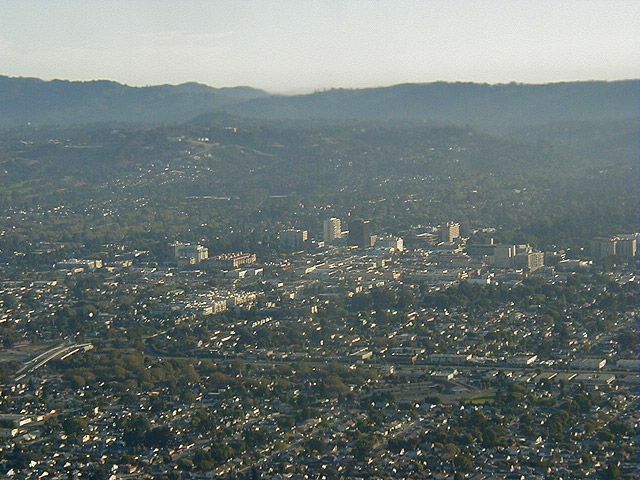 San Mateo has one of the larger, well developed, more prominent suburban downtowns in the San Francisco Bay Area. It is located roughly between Tilton and 9th Avenues and Delaware Street and El Camino Real The downtown core contains over 800 shops and restaurants, many of them in historic buildings from the late 19th and early 20th centuries. A historically influential area for the Japanese-American community, the downtown is home to many Japanese restaurants and shops. A large, modern 12-screen movie theatre complex gives the downtown a major entertainment option. Central Park is considered to be San Mateo's signature park with tennis courts, picnic areas, playground, a baseball field, a recreation center, a miniature train, and a Japanese Tea Garden. The Caltrain station is situated downtown. The downtown also contains many large and small multi-story office buildings, apartments, government buildings and Mills Medical Center, making the area a busy employment center day and night.